Our Costa sunglasses just came in! Our Costa sunglasses just came in. Costa sunglasses are built to perform, featuring the latest polarized sunglasses technology. The optics on these are incredible! Need suns for your end of Summer splash? 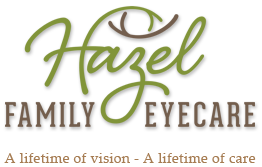 We are proud to carry our trade’s finest eyewear and eyeglasses. We believe it’s important to have pristine vision and healthy eyes and we think it’s important to put your best eyes forward – with style. Learn more about our frames!